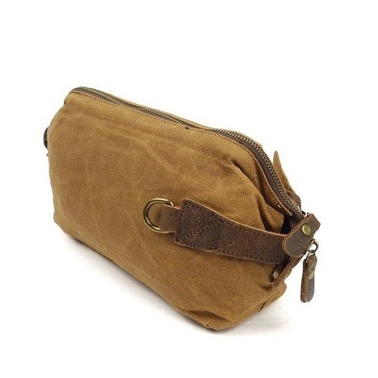 A very simple proposition: a good looking, practical and durable toiletry bag. 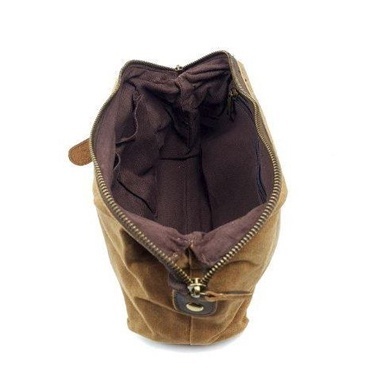 The bag is made of canvas and leather, with a zipper securing its main compartment. 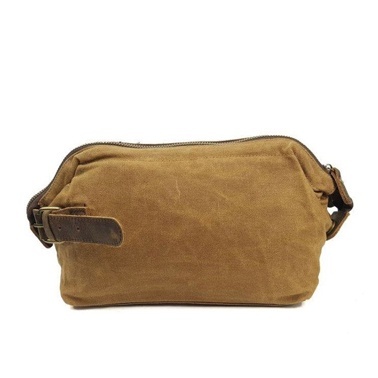 A small leather strap allows for this toiletry bag to be attached to bigger bags or luggage. The interior is lined in brown. All bags in the Rustler Collection are made from the highest quality materials, mostly incorporating canvas and leather. Unalike Metro canvas bags, Rustler canvas is waxed, giving it an extra layer of protection, as well as an exceptional look. The designs combine a sense of adventure, whilst simultaneously conveying metropolitan hues. Inspired by those who are “always on the go”, these bags provide easy access for the user on the run, as well as sturdiness for endurance. Boheme Art & Design products are handmade mostly incorporating full-grain leather and canvas. Their designs take into account the aesthetics of each product whilst keeping practicability and durability as key elements to their range.